If Einstein had never discovered that E = mc2, we may have never unlocked the importance of the links between energy, the speed of light and mass. If Louis Pasteur hadn’t experimented with bacteria in his lab to determine what caused disease, millions of lives would have been lost due to less-than-sanitary practices in medicine and other fields. The concepts of gravity and evolution, the discovery of DNA, the invention of penicillin, and millions of other inventions and experiments have created a better, smarter, healthier and richer world. Investors are not exempt from the processes of adaptation, evolution and discovery, and they, too, can continually benefit from major advances in Tactical Asset Allocation. Asset allocation took a great leap forward in 1952 when Professor Harry Markowitz derived the optimal rule for allocating wealth across risky assets in a static setting now referred to as Strategic Asset Allocation where the basic premise is to select, buy and hold a diversified basket of assets through full market cycles. 1966 ushered in a series of 3 cyclical equity bear markets coupled with a bear market in fixed income which lasted until 1981. The large drawdowns associated with “Buy and Hold” during this period focused interest on Tactical Asset Allocation where the basic premise is to select and own the best performing assets within a diversified basket; a process which requires more active management and more frequent rebalancing. Momentum is the empirically observed tendency for rising asset prices to rise further, and falling prices to keep falling and is best explained by behavioral economics rather than classical economics. To put it simply, the human traits of greed and fear explain much of the reason why momentum is a persistent factor in the markets. Table 1 was prepared from 20 years of annual data compiled by Callan. It demonstrates the annual variation across 10 different assets from best (green) to worst (red). Note that some of the worst performers are also best performers and vice versa. The next chart demonstrates the potential of capturing the returns from the Best 3 each year starting with $1000 invested at the end of 1997. Aggregate Bond takes the low end at $2689 and Russell 2000 Value takes the high end at $5222. $1000 invested equally each year across all 10 classes would yield $4331 while owning the Best 3 rises to an astronomical $42,512. Capturing the full returns of the Best 3 each year is a pipe dream, however the chart does demonstrate the potential benefit from selecting the strongest and discarding the weakest. In the case of our Tactical Asset Allocation strategies, we perform that task monthly so we have a much better chance of riding winners to improved performance not to mention reduced drawdowns from the losers. There is a large body of published academic and commercial research on Tactical Asset Allocation. Much of that body of work is focused on measuring the rate of change over fixed length periods or even a weighted average of fixed length periods (for example 20 weeks or blending 1+4+13+26+52 weeks). The percent change is calculated and compared for each fund in a basket to determine those with the strongest momentum. The Achilles Heel of this methodology is that it fails to recognize and accommodate the many reasons why cycle lengths tend to vary across asset classes, sub-classes, and even funds. Worse yet, the cycle lengths are selected either arbitrarily or based on optimization based upon best results from past history. I devoted 5 years of research and testing to create a far better measure of momentum. Adaptive Dynamic Momentum (ADM) calculates a wide range of regressions for each fund, each rebalance period, and uses the length which best fits current conditions. It then normalizes the result for each fund member of the basket for comparison of both strength and confidence. In short, ADM allows for more accurate trend identification as well as a smoother equity curve. Note: this graph is limited to comparison of two methods of trend identification and does not reflect the fully integrated performance of the TAAS Market Conditions and Tactical Models. Adaptive Dynamic Momentum is impressively accurate in identifying the direction and degree of momentum in an investment trend as well as the probability that that trend will continue. No one wants to purchase a previously successful fund that proceeds to fall off a cliff. It is important to note that Adaptive Dynamic Momentum is not a surefire cure for the doldrums experienced by tactical strategies when markets are experiencing a shift in trends. The true benefits of Tactical Asset Allocation are always measured across a full market cycle. Regardless, Adaptive Dynamic Momentum steadily and repeatedly outperforms single and weighted period momentum across virtually every specialized and diversified basket of funds I’ve tested. Why Adaptive Dynamic Momentum and Why Now? The period from 1966 to 1981 was marked by a series of 9 bull and bear equity markets and 11 bull and bear fixed income markets. The incredible challenges of investing during this period led to the development of tactical asset allocation strategies to capture the many market shifts. Research shows that we are nearing the end of a major market, fixed income, and credit cycles that began in 1981, nearly 40 years ago. The proximity of this shift creates urgency to improve upon tactical strategies, particularly trend identification. Additionally, we have far more fund choices than were available during the previous cycle. Our fund baskets are more diversified, which makes adapting to shifts in domestic and international equities, fixed income, real estate and commodities markets that much easier for investors. Investors also enjoy greater exposure to future growth opportunities. A 35+ year secular bull market in both equities and bonds began in 1982. The last cyclical bull market in equities (and to a lesser extent, bonds) began 9 years ago. Returns during these periods have been historically exceptional. Market returns for the next cycle are highly unlikely to approach those of the past 10. 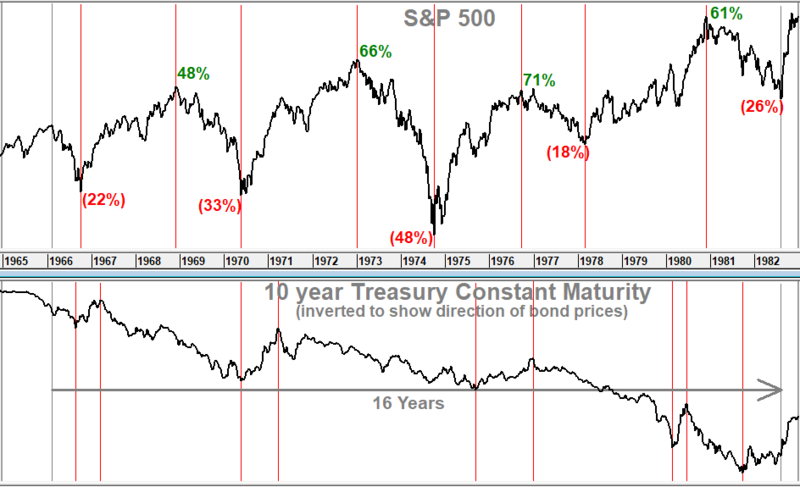 In fact, a large body of respected market research suggests that market returns during the next 10 years have a high probability of being significantly lower and that bonds and equities (which have risen together) may actually begin working at cross purposes. Investors should not use the statistics shown for the Global Adaptive Strategy to establish expectations of specific levels of returns or drawdowns. Investors should, however, appreciate that we believe the principles which underlie the Global Adaptive Strategy are enduring enough to significantly outperform the market in the future, both in lowering risk and in improving returns. Equity and and fixed income markets continue to shift and change and will become even more challenging in the future. This demands that we adapt with new and improved technologies. Fortunately, the Adaptive Dynamic Momentum strategy for Tactical Asset Allocation is incredibly dynamic and adaptive to both today’s and tomorrow’s market cycles, representing a major improvement over previous algorithms. The development of Adaptive Dynamic Momentum has significantly raised the bar for portfolio performance using Tactical Asset Allocation.